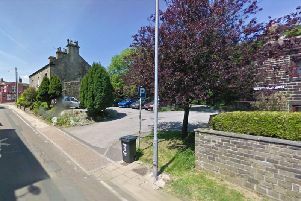 A man was shot and suffered facial injuries during a targeted drive-by shooting in Huddersfield. Police are appealing for information after a man was shot and injured following an incident in the Marsh area of Huddersfield on April 9. Around 11.40pm, officers were called to the Marsh area following reports that a firearm had been discharged. A 24-year-old local man was found injured on Waverley Terrace and was taken to hospital with facial injuries which are consistent with a firearm discharge. Detective Superintendent Simon Atkinson, from West Yorkshire Police’s Homicide and Major Enquiry Team, said: “At the present time we are treating this incident as a targeted attack. “While I understand that incidents of this nature are disturbing for those living in the local community, I do not believe there is any wider danger to members of the public and additional neighbourhood officers are in the area to reassure local residents. “‘The injured man remains in hospital where his injuries are serious but are not considered to be life threatening. “We believe the man was shot as he was travelling in car with two other men on Heaton Road. The suspect/s are thought to have been in another vehicle when the firearm was discharged. The other passengers in the vehicle were not injured in the incident. Two local men aged 23 and 22 were arrested in the early hours of Friday morning and remain in police custody on suspicion of possession of a firearm with intent to cause fear of violence. Anyone with information is asked to contact police via: 101 and quoting crime reference number: 13150140183. Information can also be given, anonymously and in confidence, via: 0800 555 111.